Let us introduce you to Off Grid, a 3rd person stealth and hacking game where data is your most powerful weapon. Off Grid forgoes combat for hacking tools and ingenuity, and is completely moddable. Off Grid is a 3rd-person stealth game where instead of weapons, the player hacks other characters and the game environment by having access to tools that visualise all the data around them, and allow manipulating and interacting with that data. Think ‘Watchdogs’ but with meaningful data interactions, ‘Metal Gear Solid’ meets Orwell’s ‘1984’, or ‘Gunpoint’ meets Cory Doctorow’s ‘Little Brother’. All the data - and privacy - related tools are based on real-life technologies. 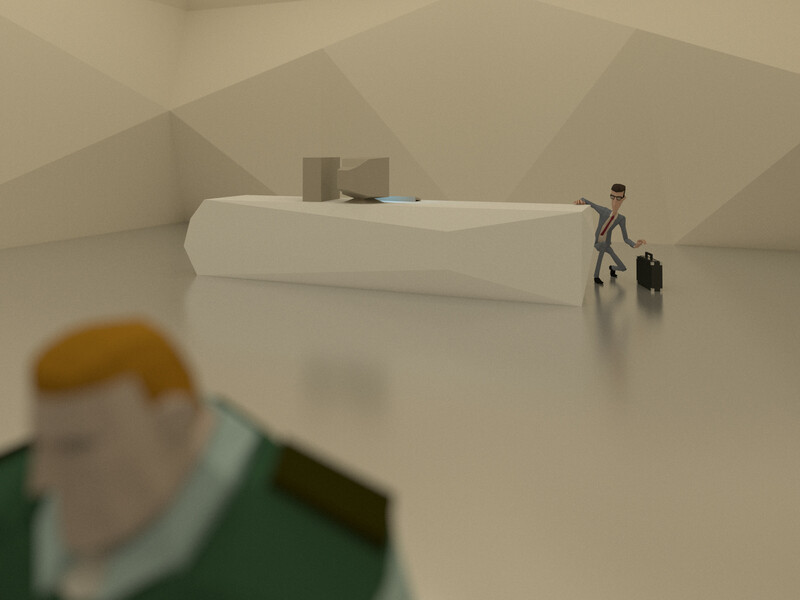 The player might use her phone to decrypt nearby data, find an SMS from which she learns one of the guards in the building is a coffee addict, then choose to send that guard a new SMS with coffee advertisements to get the guard to leave his patrol and go for a coffee break instead. The player can also send data to the coffee machine, increasing the price, telling it to always serve decaf, or just shut the machine down. Guards’ security clearance can be tampered with, distracting them and then locking them in or out of rooms; patrol drones can have their routes hacked and altered; telephones can be hacked or pranked for personal data or distraction; and nearly every electronic device can send or receive data to create new variations on gameplay. The game is heavily moddable, with an exposed Lua API that anyone can edit; and level editing tools that allow any player to download the Unity engine's free Personal edition and build mods with the same tools we, as the devs, use ourselves. With this level of control, players can build their own content, missions, levels, apps, hacking tools, and stories - and share them with other players - making for a huge opportunity for players to make and experience topical and contemporary stories as they emerge in the world of hacking, surveillance and 'cyber'.